What is File Transfer Protocol (FTP) ? FTP or File Transfer Protocol is an internet protocol used to transfer files across the internet from one computer to another. For example, when you are installing a software like WordPress on your website, then you will most likely use FTP in order to upload all of the WordPress files from your personal computer to your server. In order to do this, you need something called an FTP client. The FTP client is software that runs on your personal computer and allows you to transfer files to and from your web server. Filezilla and WS_FTP are examples of easy to use FTP clients. Most WordPress web hosting service providers give users access to FTP, so that they can upload or download files from their web hosting server directly from within their control panel. WordPress users may need an FTP client to upload WordPress files to their web hosting server before they can install WordPress. Besides installing WordPress, if you plan on using plugins or modifying your theme’s functions.php file then it is good to understand how to use FTP. Sometimes adding a plugin or making a change to the functions.php file can cause the “white screen of death” and lock you out of your site due to poorly written code or compatibility issues between plugins. If you know how to use FTP, then you can simply connect to your server using your FTP client and delete the files that are causing the problems. What is File Transfer Protocol (FTP) ? 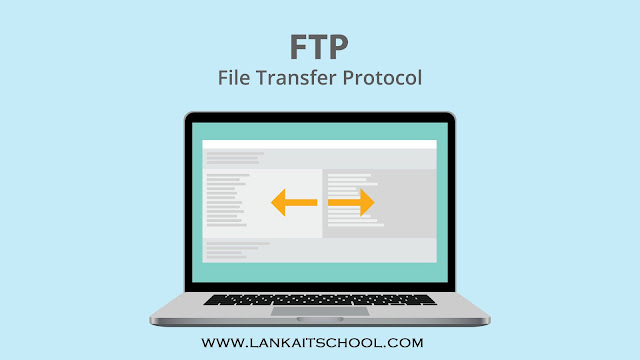 FTP or File Transfer Protocol is an internet protocol used to transfer files across the internet from one computer to another. For example, when you are installing a software like WordPress on your website, then you will most likely use FTP in order to upload all of the WordPress files from your personal computer to your server. In order to do this, you need something called an FTP client. The FTP client is software that runs on your personal computer and allows you to transfer files to and from your web server. Filezilla and WS_FTP are examples of easy to use FTP clients. Most WordPress web hosting service providers give users access to FTP, so that they can upload or download files from their web hosting server directly from within their control panel. WordPress users may need an FTP client to upload WordPress files to their web hosting server before they can install WordPress. Besides installing WordPress, if you plan on using plugins or modifying your theme’s functions.php file then it is good to understand how to use FTP. Sometimes adding a plugin or making a change to the functions.php file can cause the “white screen of death” and lock you out of your site due to poorly written code or compatibility issues between plugins. If you know how to use FTP, then you can simply connect to your server using your FTP client and delete the files that are causing the problems.